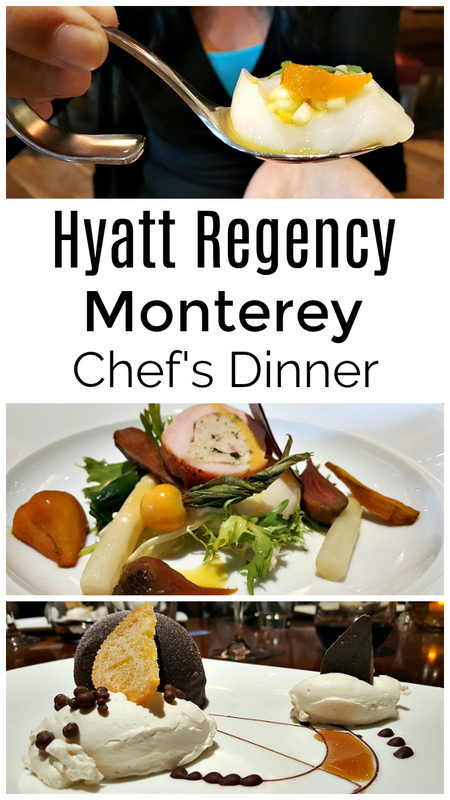 The Hyatt Regency Monterey has a new executive chef and he has taken over at the resort’s TusCA restaurant. 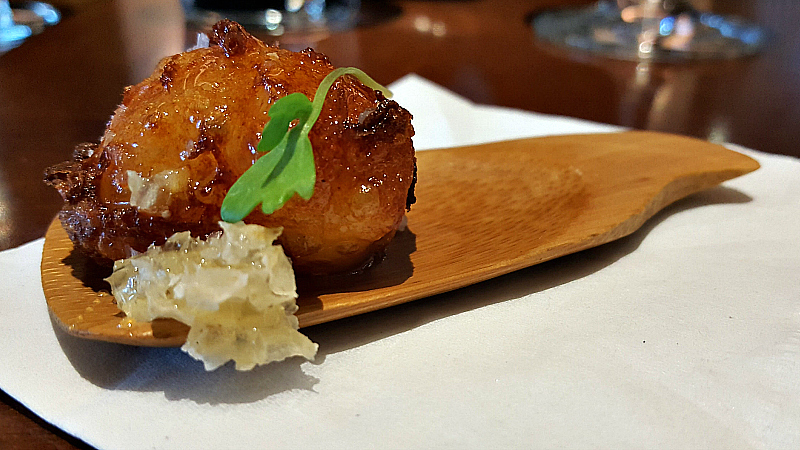 We had the pleasure of getting a sneak peak at the new menu, when we attended the Hyatt chef’s dinner preview. Scott “Paul” Blackerby is new to this position, but has many years of hotel dining experience. The menu has been reworked and makes good use of local fruit, vegetables, seafood, meat and wine. The meal was memorable, both for the food and for the overall experience. 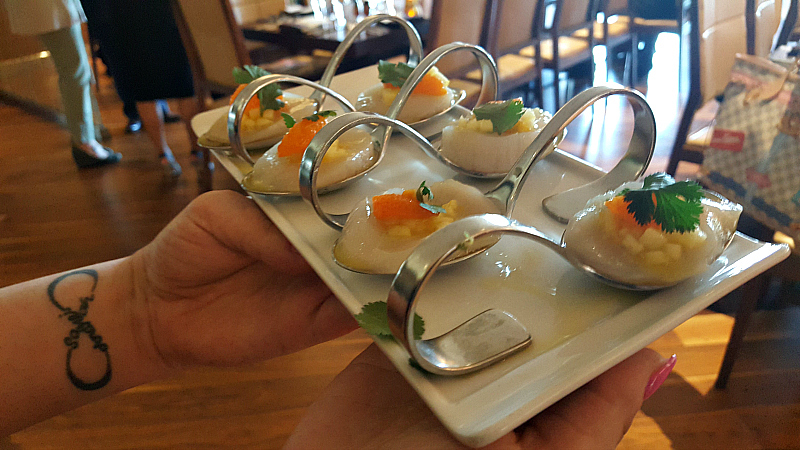 The flavors were complex and the wine enhanced each dish. The melt in your mouth Scallops Tiradito, the Monterey Bay wild caught salmon, and, also, the decadent dessert were the favorites in our group. Reservations are recommended, when dining at TusCA. The restaurant fills up with guests who are staying at the resort and locals who are just there for the food. After dining, you can relax in the Fireside Lounge and enjoy complimentary live music each weekend. Also, check out our additional travel articles. and search for Monterey hotel deals.